Trickett England, like Cricket England but not quite. Trickett is an online retail company (and blog) stocking and selling honest, quality mens sportswear basics - think socks and jocks and essential odds and ends. 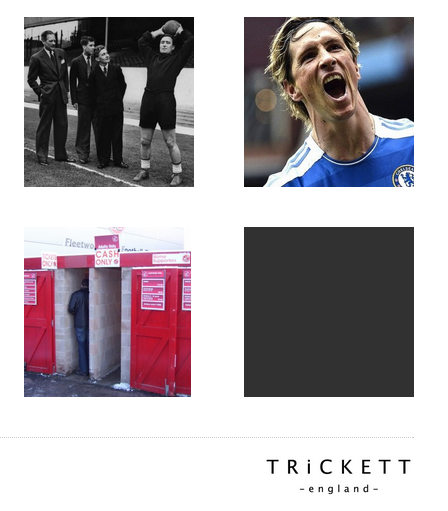 Well priced and not overstocked, Trickett have discovered the secret formula to online retail. Oh and their blog kills, stunningly laid out and updated often enough.